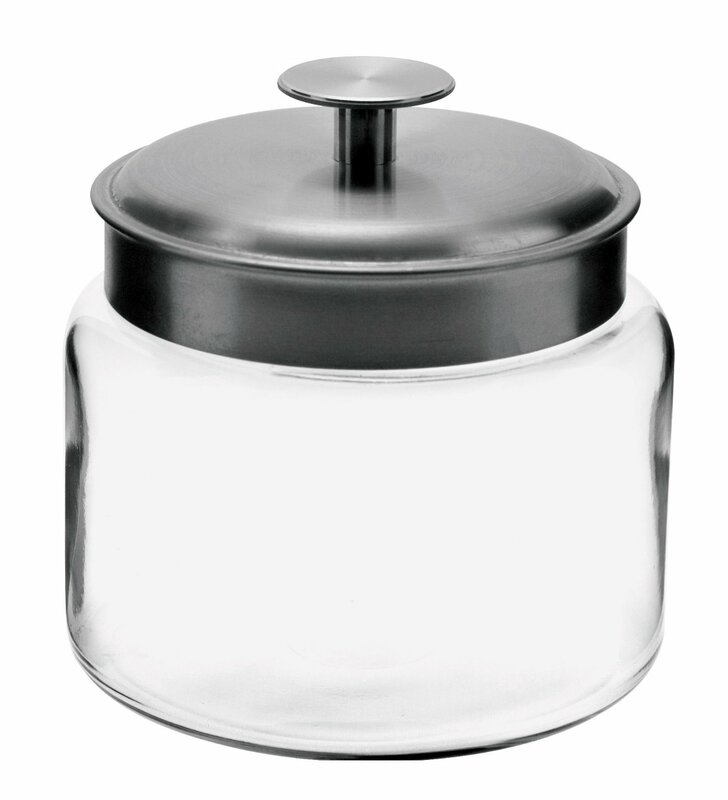 Clear glass storage jar from Anchor Hocking – 48-ounce capacity. Brushed aluminum metal lid. On the table, in the kitchen, and around the home, Anchor Hocking offers a wide variety of high quality consumer glassware products that are both beautiful and functional. Accent and organize the kitchen, bath or living room. From soaps and cotton balls, to flour, sugar and cookies, we have glass storage collections for every use.